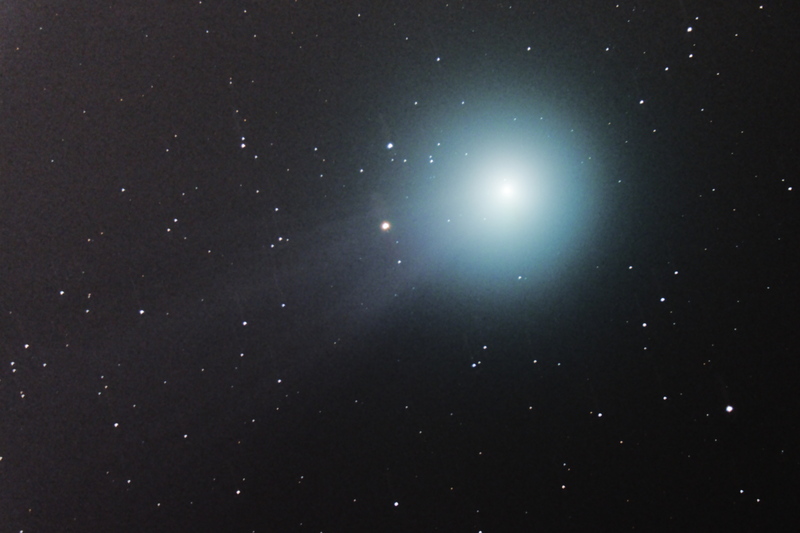 Later this week, a dazzling bluish-green comet will streak across the sky. If you manage to wake up early enough, you might be able to spot it. You’ll recognize it by its unusual bluish-green color and fan-shaped tail. Its color comes from vaporizing diatomic carbon, a gas that glows green. And it has an icy nucleus heated by solar radiation, causing it to spew out brilliant jets of gas. This comet, called Comet 45P/Honda-Mrkos-Pajdusakova (45P for short) and named after a trio of astronomers who discovered it in 1948, travels into the inner solar system every 5.25 years. You won’t want to miss this opportunity — 45P won’t be as close to Earth again for the rest of this century (although 45P did fly closer to Earth in 2011). The comet will be nearest to Earth on Saturday, when it comes to within 7.4 million miles from of the planet. Sounds pretty far, but it’s actually a remarkably close shave — you’ll be able to see just with a pair of binoculars. Speaking of which, if you want to catch a glimpse of 45P, be sure to camp out outside and bring binoculars or a small telescope. Here’s the catch, though — you’re going to have to wake up before dawn. The best time to see it is in the dark hours before sunrise between Thursday and Sunday. Look high into the Eastern sky as the comet zips through the Hercules constellation, and you may be able to catch a glimpse of the fuzzy green comet. 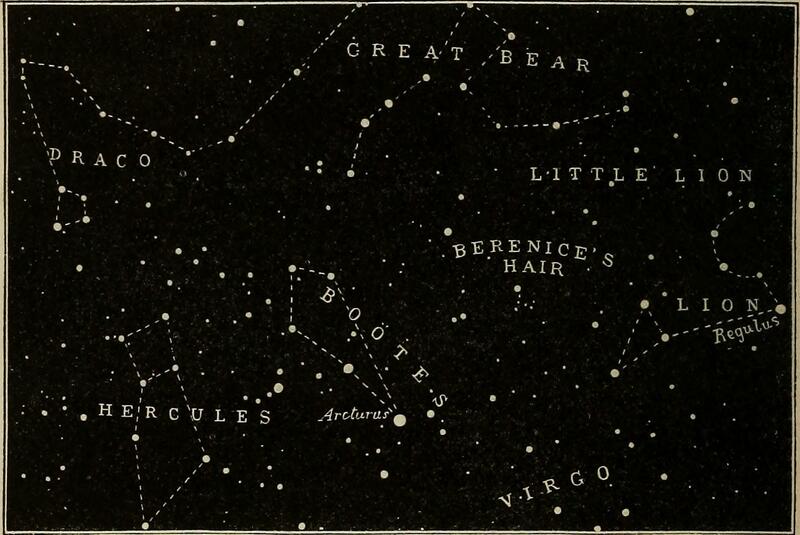 The Hercules Constellation can be found near the Draco and Great Bear constellations. Comet 45P actually passed near the moon on New Year’s Eve. But if you missed it then, you’ve got a better chance this weekend when it flies even closer. If you can’t get yourself out of bed that early, Slooh will host a live show featuring the comet on Friday at 10:30 p.m. Eastern Time. Slooh will point telescopes towards the comet in the hours as it approaches Earth. Astronomers and experts on the show will also discuss the history and science of comets. Audience members can participate by snapping their own pictures of the comet and sending them to Slooh on Twitter, as well as tweet questions and comments.